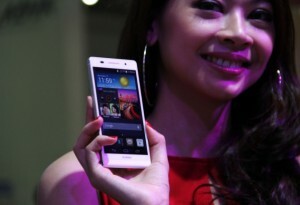 Chinese telecom giant Huawei has unveiled the world’s slimmest smartphone to the Philippines. The Ascend P6 smartphone is only 6.18 mm thick and weighs just 120 grams. “It is a star among smartphones with its industry-leading design, high-quality camera and intuitive user interface,” said Johnson Ma, Country Manager of Huawei Device Philippines. “The newly launched Ascend P6, Huawei’s flagship phone, features a 1.5GHz quad-core processor, android 4.2.2 operating system, 200mAh battery, 4.7-inch in-cell LCD screen technology, and ‘MagicTouch’ for enhanced screen responsiveness even when wearing gloves,” added Ma. Huawei announced last month that its sales revenue in the first six months of 2013 reached 113.8 billion yuan ($18.4 billion), up 10.8 per cent year on year. “From these positive indicators, we believe Huawei will generate strong performance and profit margins in the second half of this year and are confident that we will achieve our goal to increase revenue by 10 percent,” said Huawei’s CFO Cathy Meng. Huawei is a leading global information and communications technology (ICT) solutions provider founded in China’s Shenzhen city in 1987 – its products and services are used in over 140 countries around the world. The company jumped to 315th on the 2013 Fortune Global 500 list from 351st a year ago surpassing Stockholm-based Ericsson in the rankings with increased revenues and earnings propelled by smartphone sales.